Not the timeslip I was looking for, but the drag meet was right in the middle of a heat wave...with the DA at 2500ft. I'm planning on getting back to a 1/4 later this year with some better horsepower weather. Shooting for 13.5@ 100+. This slip is through full exhaust with cat and muffler. 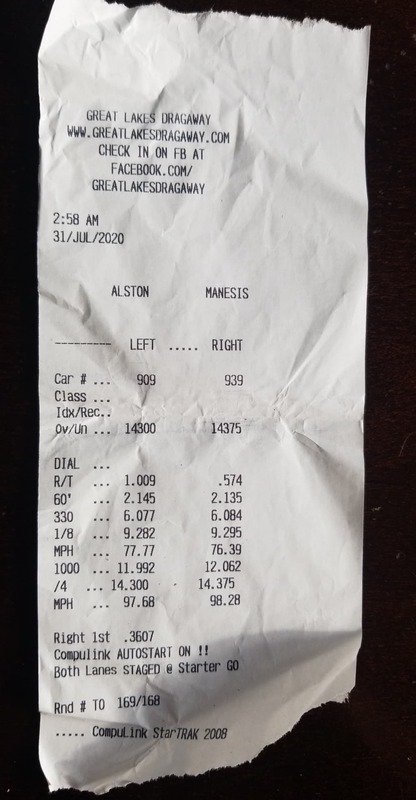 I usually gain a couple tenths and a couple MPH with my cutout open but ran into 8* of spark retard (of presumably false knock) so the time was actually slower. Same MPH but my 60' sucked too. 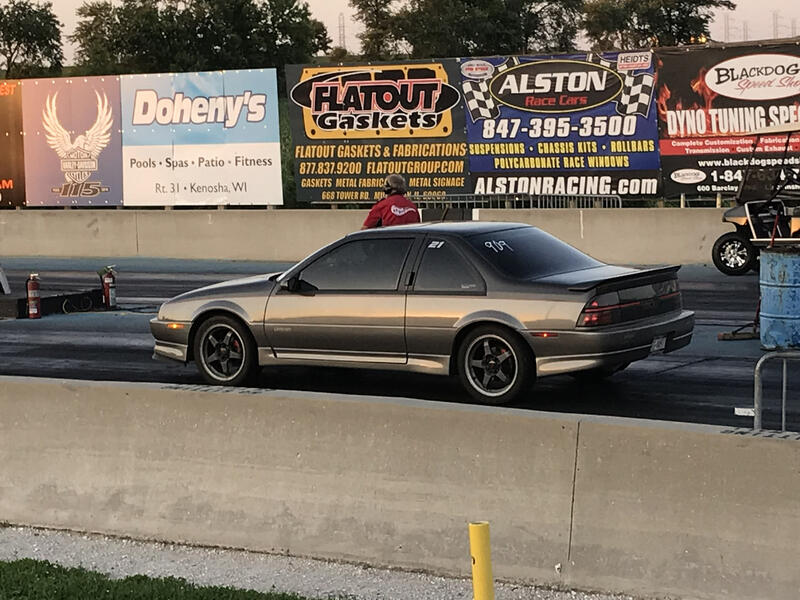 My previous best was a 14.4@92 and 14.5@94 without the heads and cam...but that was also with 4th gear issues. Last edited by woody90gtz; 07-14-2018, 11:36 PM.